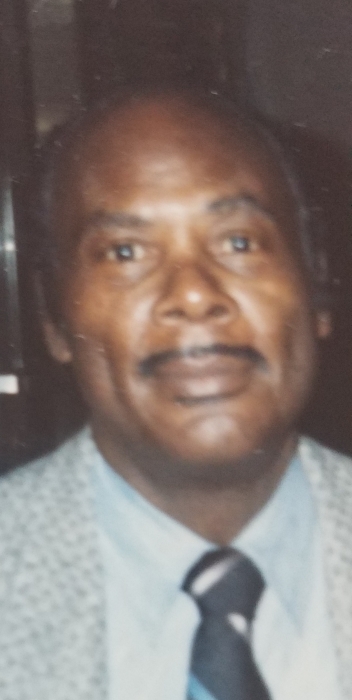 Mr. Jesse Joseph Lonon, Jr.
Mr. Jesse J. Lonon, Jr. went home to be with the Lord on Friday August 3, 2018 at Clara Maass Medical Center in Newark, NJ. Jesse Joseph Lonon, Jr. was born to Josephine (nee Grant) and Jesse J. Lonon, Sr. in Savannah, Georgia. He was the second of five children, Juanita, Jesse, Edward, Betty Anne (who preceded him in death) and Rose. He attended elementary school at the historic St. Benedict's Catholic School where he skipped a grade due to his quick wit and academic gifts. His father worked hard to provide the best for children and registered both Jesse and his sister, Juanita in boarding schools in Virginia. Jesse, Jr. boarded at St. Emma Military Academy (SEMA) in Powhatan, VA, the only military academy African- American boys in the country at that time. Jesse excelled at SEMA,, but left prior to graduation to join the Army in April of 1950. During his service, his work assignments were in the office, as he was an excellent typist. On the 14th of April 1953, he was honorably discharged. ,Following his discharge ,y, he returned to Savannah to attend Savannah State College. In 1954, he worked as a U.S. Postal Carrier. In 1955 he married Jonaye B. Danzy, to this union a daughter, Ave and a son, Jesse III were born. In 1961 he moved to NYC and married Thomasena Scott who was alson from Savannah. To this union, two sons were born, Gregory and Anthony.. He employment included ,a Counselor with Problem Youth and a few years in a clothing store in Brooklyn for some years He worked for Merrill Lynch Financial Institution were he retired after over 25 years of service. Upon retiring he became a volunteer for the Salvation Army for 10 years. Jesse possessed a truly charismatic personality, had great academic skills, style and charm. Throughout his life, Jesse enjoyed great popularity among his friends and associates. Everyone knew him and he knew everybody. He is also preceded by his wife Mrs. Thomasena S. Lonon. .
Funeral services will be held 11:00am Saturday August 11, 2018 at True Love Baptist Church 777 E. Gwinnett St. Savannah, GA. Elder Raphael O. Watson, Pastor/Eulogist. Interment Lincoln Memorial Cemetery Hunter Army/Air Force Base. Public viewing 10:00am- 6:00pm Friday August 10, 2018 at the Chapel of Bynes-Royall. Body will lie instate 9;00am at the church. Professional services are entrusted to Bynes-Royall Funeral Home.